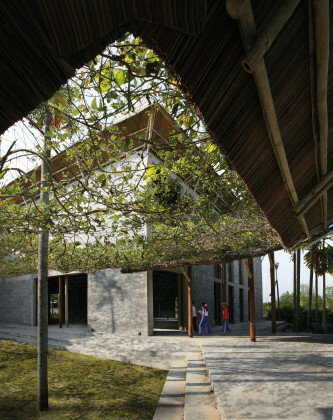 Inspired by courtyards of ancient houses, the Cam Thanh Community Center represents the new rural development, adapting to contemporary needs and simultaneously preserving the identity. 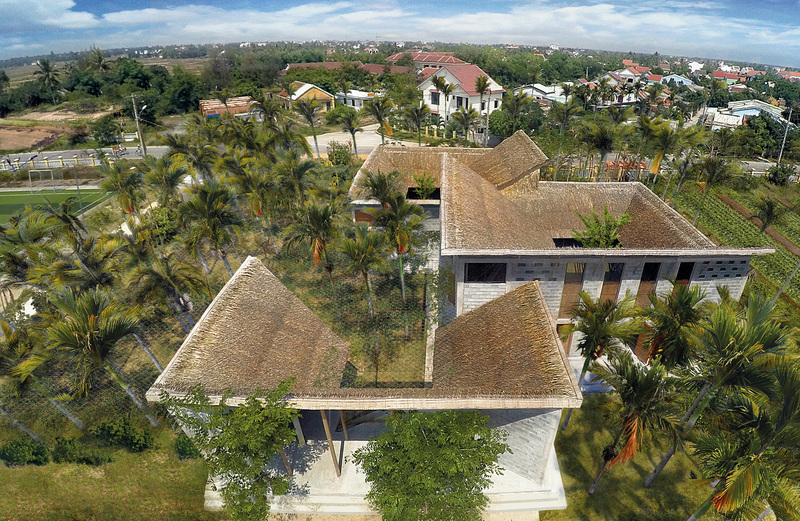 Located in the southeast of Hoi An – a tourism destination in the middle of Vietnam with ancient quarter and breathtaking seashore, Cam Thanh is known for its mangrove forests, crisscrossed waterways, areca gardens and small looming villages. Despite having such great potentials due to naturally diverse ecology and local handicraft business, Cam Thanh remains a poor area with low living standard. 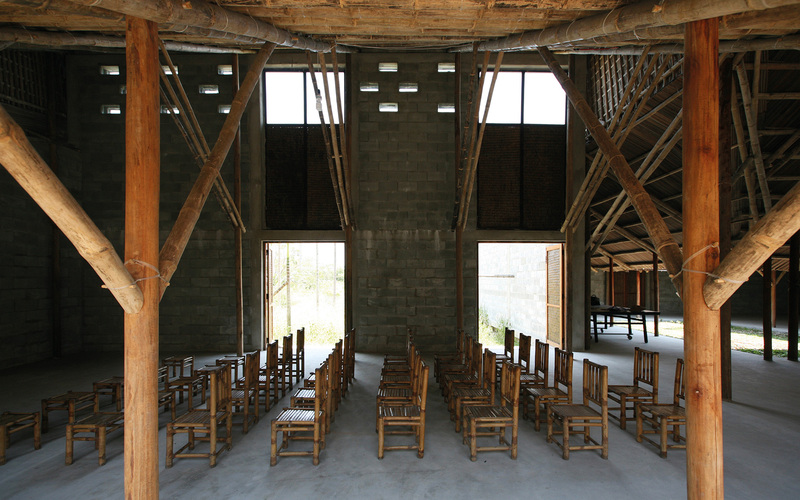 The lack of connection and support from the ancient town and different social/ scientific groups prevented this area from promoting tourism and fostering the local economy. Cam Thanh is also affected by climate change: heat-wave, typhoons and rising sea level. These have raised the need for a physical platform acting as a community hub to strengthen the collaboration of Cam Thanh with other areas, creating more tourist opportunities and contributing to the economic development. The Cam Thanh Community Center was designed to fulfill this requirement. The centre, locating in the commune’s core, includes three buildings providing a continuous zoning flow. By using flexible partitions, the space can be modified to adapt different requirements: meetings, exhibitions, events, combining with library, training courses and cafeteria. 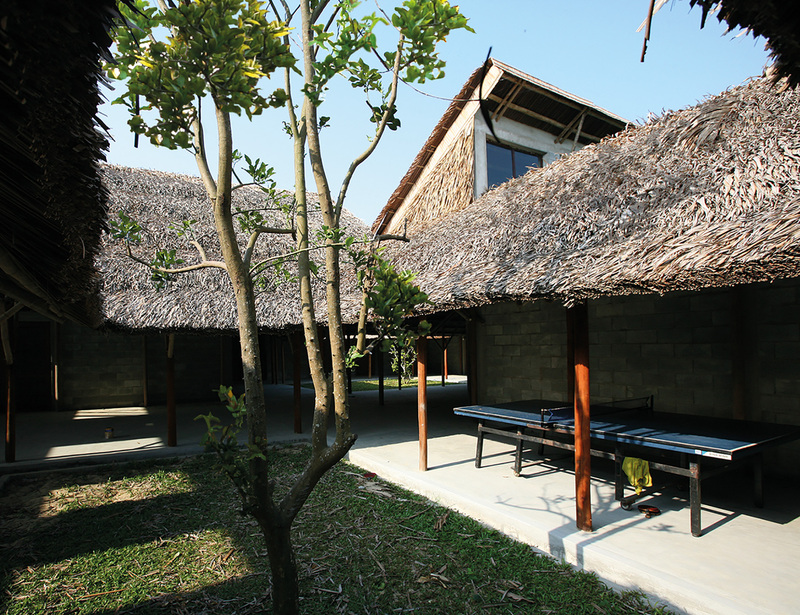 The open courts resemble the Hoi An’s ancient quarter houses, using convection ventilation. 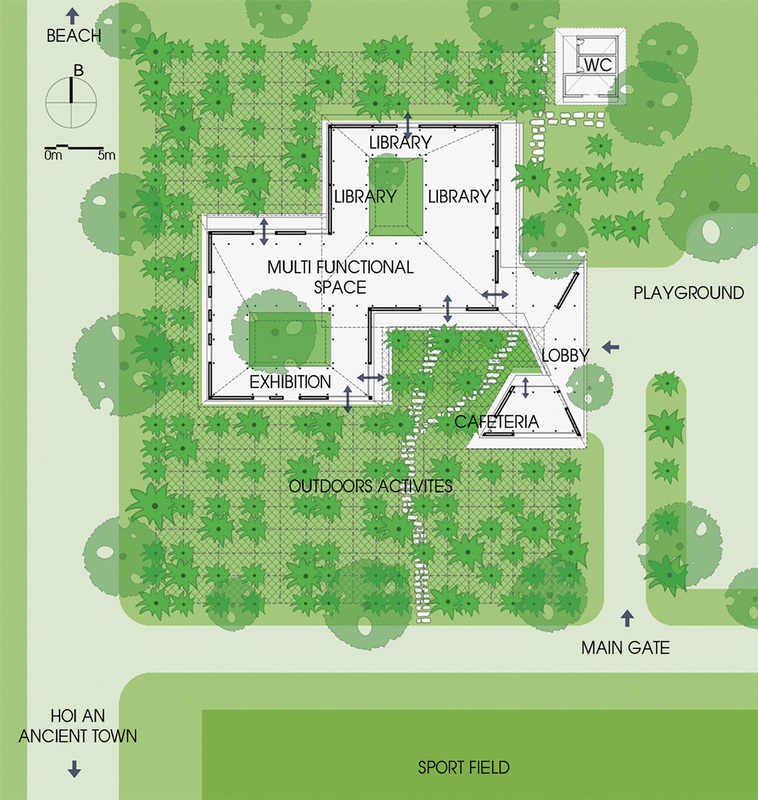 The complex also has playground, organic vegetables farm, areca garden and sport field. 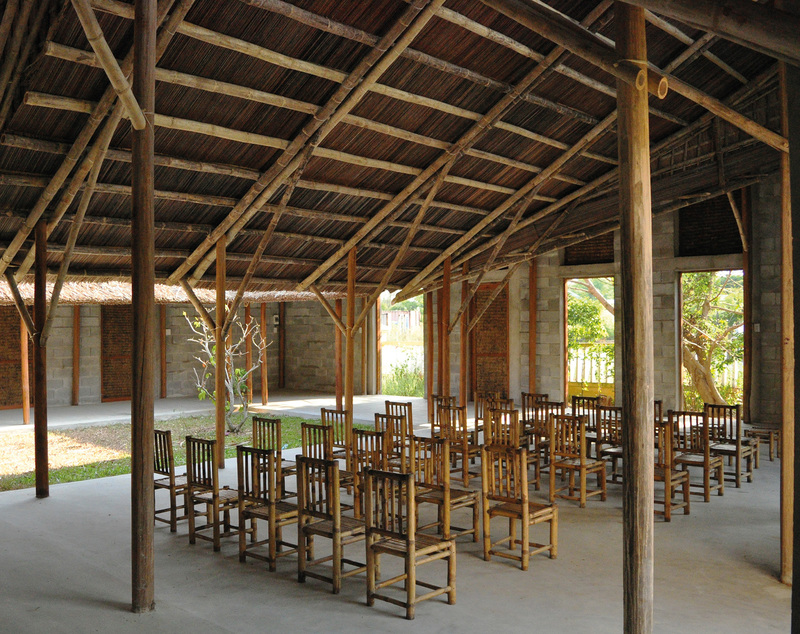 Cam Thanh Community House is expected to become an experimental organic agriculture hub, a sharing place and an ideal rest stop for tourists in the future. The structure is simple with the efficient usage of local resources and material. 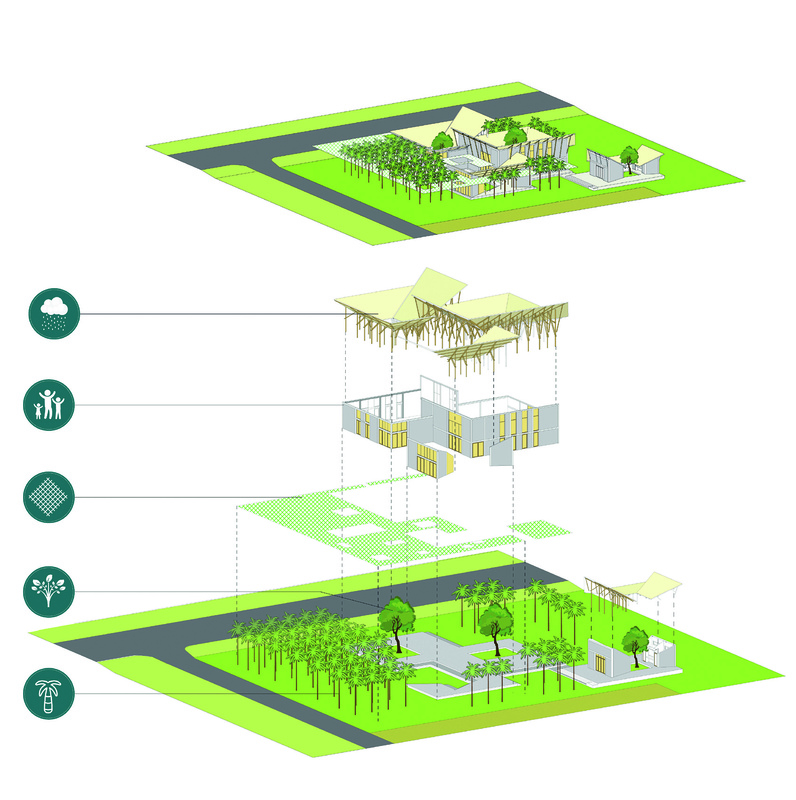 In consideration of minimizing frequent heat-wave’s effect, vines made of fishing net hanging across areca garden, together with the coconut leaves roof, can drastically reduce solar radiation and provide shade. 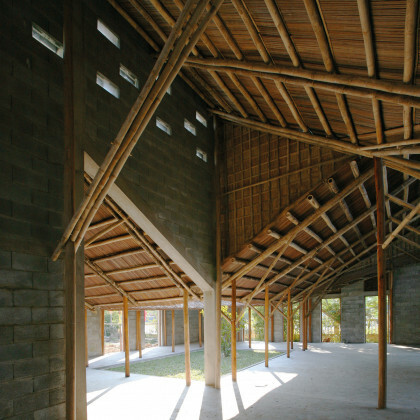 Strong wood columns and bamboo frame support the large and sloping-in roof, collecting rainwater for reuse in irrigation and daily activities. 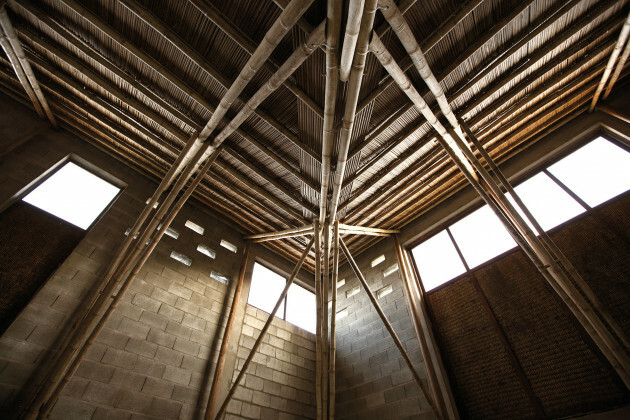 Surrounding walls, made of double-layer adobe brick, create air cushions and insulation. This structure can help the building withstand during windstorms. Inspired by the courtyard of the ancient houses, areca garden and featured vines, Cam Thanh Community Center is the combination of shades and voids, creating a flexible space chain. This building represents new rural development, adapts to contemporary social needs and urbanization, simultaneously preserve identity. 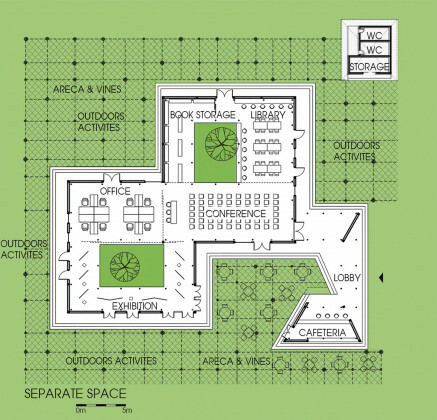 The development of this community house hopefully will be an experience which can be applied in different areas. Hoang Thuc Hao holds bachelor’s degree in architecture from National University of Civil Engineering and master’s degree in architecture from Polytechnic University of Turin. 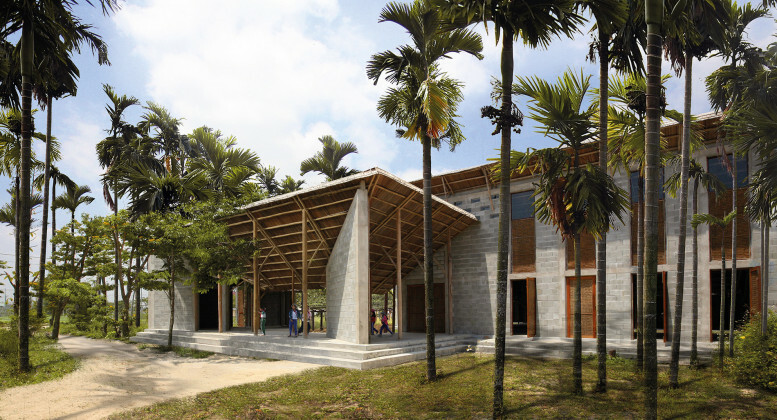 He has been working as the founder and chief architect at 1+ 1 > 2 International Architecture Office since 2004.